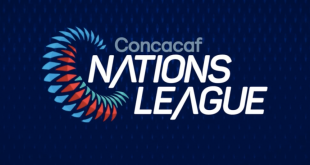 2019-03-06	Americas Comments Off on 2019 CONCACAF Nations League Draw to take place March 27! Schedule & Kick-Off Times confirmed for Week Two of the CONCACAF Nations League Qualifying Phase! 2018-09-25	Americas Comments Off on Schedule & Kick-Off Times confirmed for Week Two of the CONCACAF Nations League Qualifying Phase! CONCACAF announces updated September Ranking and Gold Cup Seeded Nations! 2018-09-01	Americas Comments Off on CONCACAF announces updated September Ranking and Gold Cup Seeded Nations! Schedule confirmed for the Inaugural Matches of the CONCACAF Nations League Qualifying Phase! 2018-08-10	Americas Comments Off on Schedule confirmed for the Inaugural Matches of the CONCACAF Nations League Qualifying Phase! 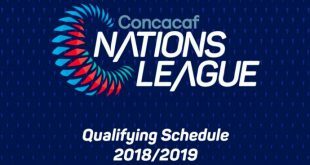 Schedule confirmed for Qualifying Phase of the CONCACAF Nations League! 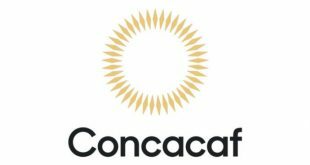 2018-05-30	Americas Comments Off on Schedule confirmed for Qualifying Phase of the CONCACAF Nations League! FIFA holds meeting with confederations on FIFA Club World Cup and Nations League! 2018-04-30	Worldwide Comments Off on FIFA holds meeting with confederations on FIFA Club World Cup and Nations League! CONCACAF announces schedule, format and other details of new Nations League! 2018-03-08	Americas Comments Off on CONCACAF announces schedule, format and other details of new Nations League!